I share today from our trip in 2016. Please pray for the men and women who are back in Haiti this week in 2017 ministering to the people there. We left our sweet friends in Haiti today! 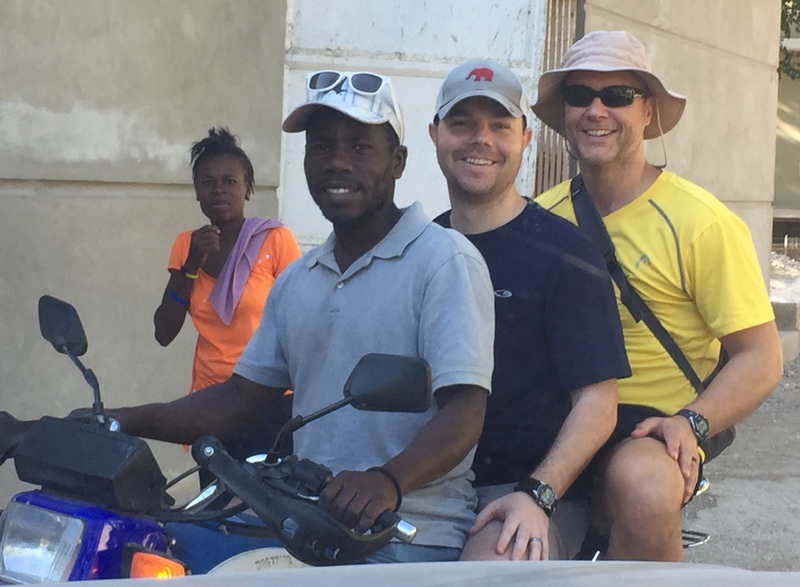 As we drove through villages crowded with markets and then continued past the ocean toward Port au Prince, our hearts began to focus on families back home, jobs, and church responsibilities. We feel torn as we remember all the hugs and the way the school children shook our hands and thanked us for all we had done for them. 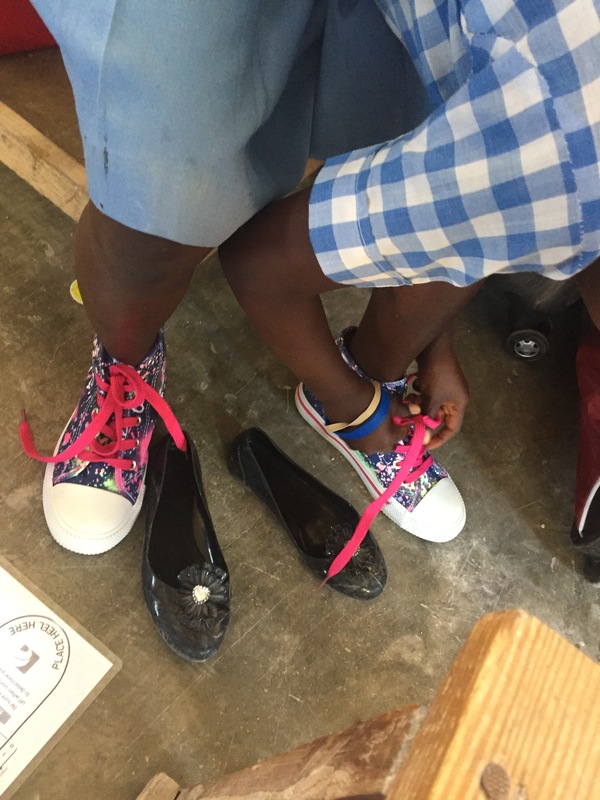 What a change from Monday when the kindergartners cried as we fitted them with shoes! Now they come to us and want to touch us! I share today from our trip in 2016. Please pray for the men and women who are back in Haiti this week (2017) ministering to the people there. Today is another day of serving the Lord and loving the people of Haiti! During the night we are awakened by the smell of smoke. Our first reaction is alarm! Fire! But immediately we calm our fears, realizing that the nearby community is burning their trash! It’s hard to sleep with the smoke in the room; our bodies just refuse to relax and sleep! The sun rises; roosters crow! The six women begin to share the one restroom, taking turns dressing in the bathroom because our sleeping area has an opening to the outdoors as well as an opening to the kitchen area. Breakfast is prepared for us … scrambled eggs and coffee!! Yum! I share today from our trip in 2016. Please pray for the men and women who are back in Haiti this week ministering to the people there. As we worship tonight, the church is packed full of Haitian believers. The overflow of children stand outside peering through the open windows. I am reminded that WORSHIP has nothing to do with language. WORSHIP TRULY COMES FROM THE HEART! I share today from our trip in 2016. Please pray for the men and women who are back in Haiti this week ministering to the people there. 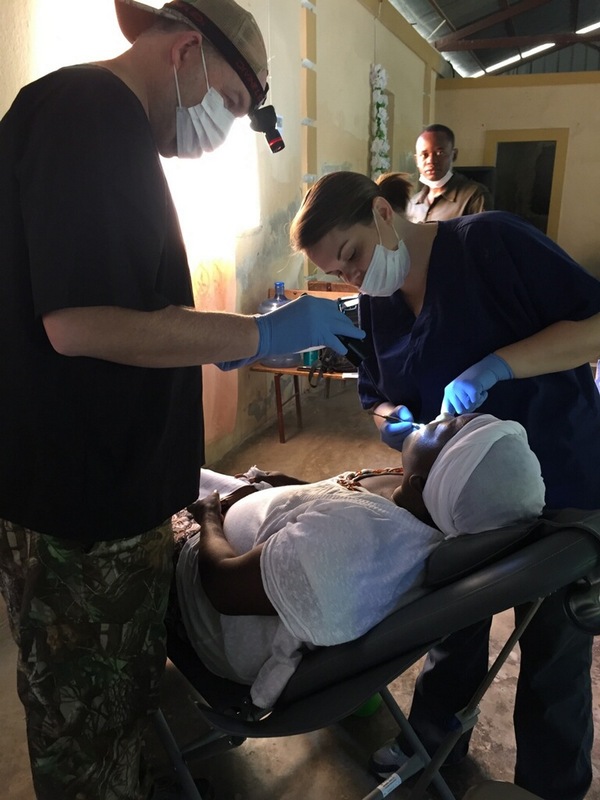 Thankfully, TWO medical doctors, TWO dentists, a pharmacist, TWO nurses, and a dental hygienist answered the call to bring medical care to the Haitian people in 2017. We awaken early with the sounds of donkeys neighing and roosters crowing! Long before the sun is shining, the unfamiliar (to us) sounds of the animals wake us up and we slowly begin to share the limited space to dress and prepare for the day. 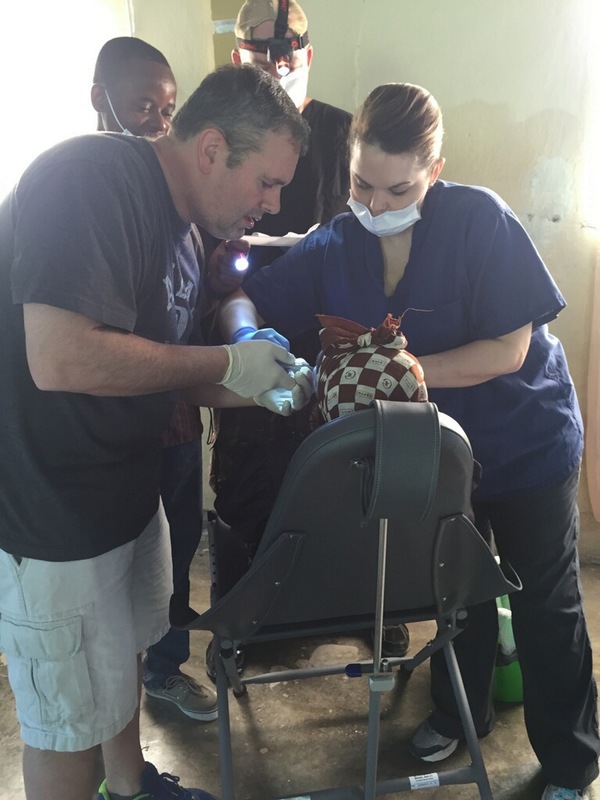 Today I share about Day Two of our Haiti trip in 2016. 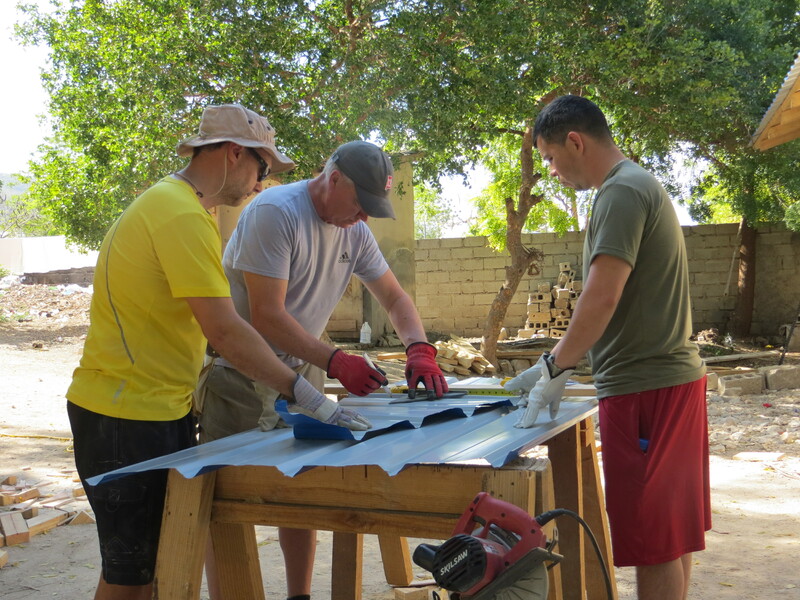 Please pray for the 22 men and women who are in Haiti this week (2017) providing medical and dental care, providing shoes for the children, constructing a kitchen for the school, and providing several other areas of ministry. Four teams begin to work … Medical, Dental, Shoes, Construction.